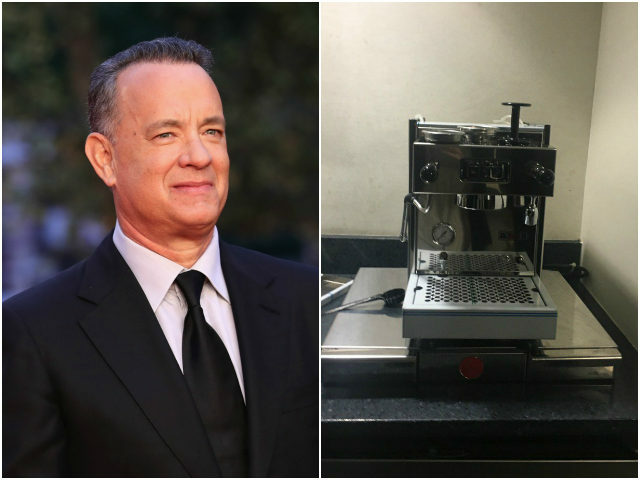 Tom Hanks sent a little encouragement to the White House press corps this week by gifting them a brand-new espresso machine for their break room. White House reporters took to social media Thursday to share photos of the new machine, along with the inspirational note that the two-time Oscar-winner had left taped to the wall. “Keep up the good fight for Truth, Justice and the American Way. Especially for the Truth part,” Hanks wrote below an image of American soldiers returning home from battle. According to the Hollywood Reporter, this is the third time Hanks has gifted a coffee machine to the White House press. He first made the gesture during George W. Bush’s presidency in 2004, when he reportedly noticed that the reporters’s break room did not have one. The actor reportedly replaced that machine with another in 2010, when the original had been worn out. Hanks was a fierce critic of then-Republican presidential candidate Donald Trump during the 2016 campaign. In October, the Sully star called Trump a “self-involved gasbag” and predicted he would never be elected president. The actor was even more emphatic in an April interview with Sky News. “I think that man will be president right about the time when spaceships come down filled with dinosaurs in red capes,” he said.